The results of the fourth National Panda Census conducted by China’s State Forestry Administration have just been released. According to the Administration, as of the end of 2013, the wild panda population has reached 1,864 – an increase of 16.8% over the 2003 census numbers. Wild panda habitat was measured at 2.58 million hectares, an 11.8% increase. 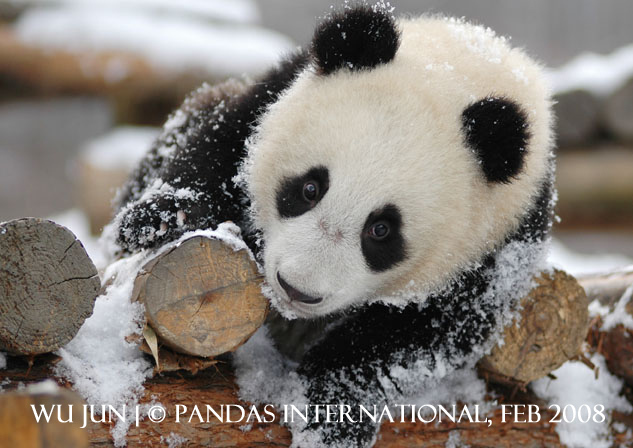 China began surveying its giant panda populations in the 1970s. The latest census began in 2011 and took a painstaking three years to complete. The survey showed that nearly three quarters of the wild pandas live in the southwestern province of Sichuan. The remaining pandas were found in the neighboring Shaanxi and Gansu provinces. The increase in the population can be attributed largely to conservation efforts put in place by the Chinese government to protect the bear and its habitat. The administration said China has set up 27 new preservation areas for giant pandas, contributing to the growth in their numbers. Economic development still remains a threat to the rare animal and its habitat, however. The survey has found 319 hydropower stations and 1,339 kilometers (832 miles) of roads in the giant panda’s habitat. In addition to wild pandas, the number of giant pandas in captivity grew by 211, more than double the previous survey figure. Together, wild and captive, there are now just over 2,200 pandas in the world.